Anyone that knows me knows I love taking pictures and scrapbooking. I may not be the best photographer, but I try. 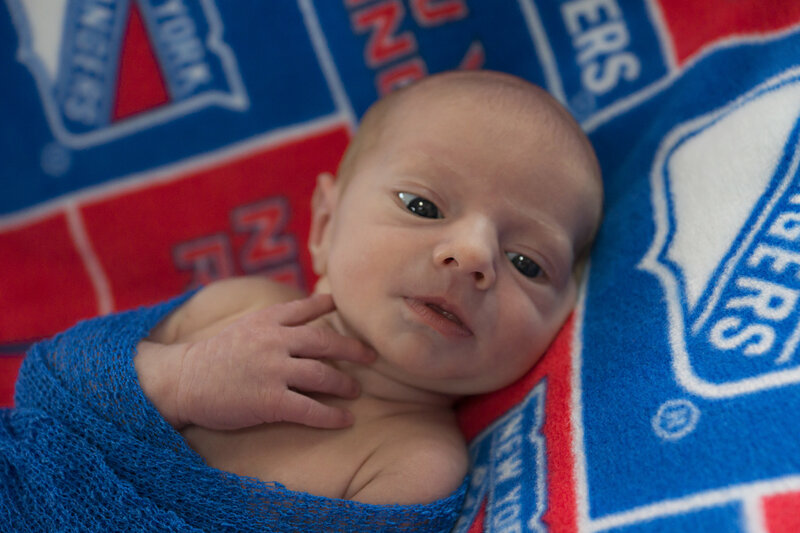 Giacomo already has been photographed like crazy. Matt and I were both 3rd children (so not as new and exciting as first born children) who were born waaaaay before taking photos was as easy as pulling out your cell phone. So neither of us have many newborn baby pictures. In fact, the few I have of myself my face is obscured by a giant pacifier. I wanted lots of pictures of my baby, so I’ve been snapping away. 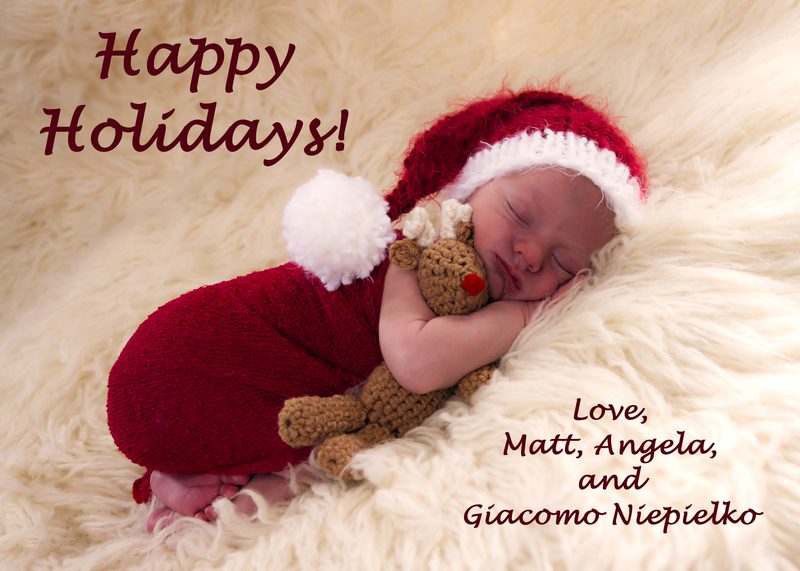 As much as I pretend I’m a great photographer, I enlisted a professional for Giacomo’s birth announcement. I hired my friend Marie to take Giacomo’s birth announcement photos. For two years, Marie has been photographing newborns, infants, children, and families, and she’s AMAZING at what she does! I always stalk out her Facebook page to OoOo and AhHhHh at her work. 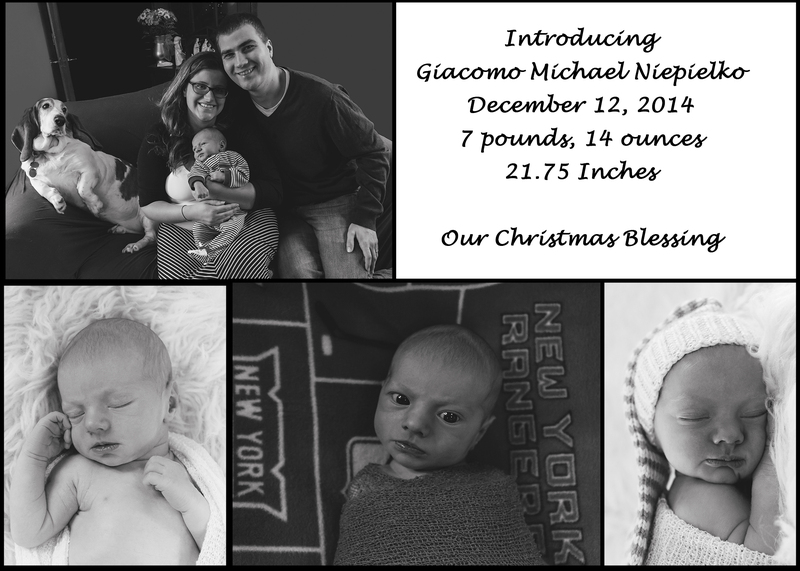 I especially love her newborn photography, so she was the first person who came to mind when we wanted to make Giacomo’s announcement. Marie generally takes newborn photos between 6 and 10 days after the baby is born, when babies are at their snuggliest. 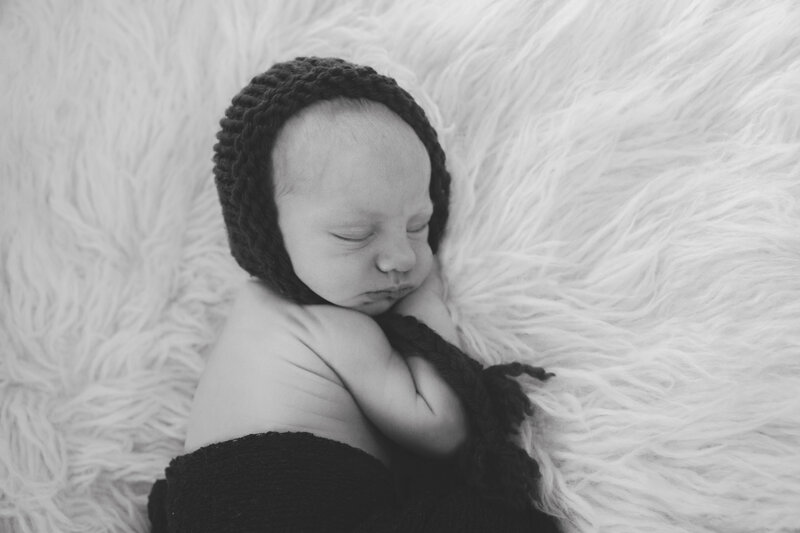 The baby photo shoot was in our home, and Marie came armed with blankets, backdrops, swaddlers, hats, and props galore. My baby was always comfortable and looked adorable. 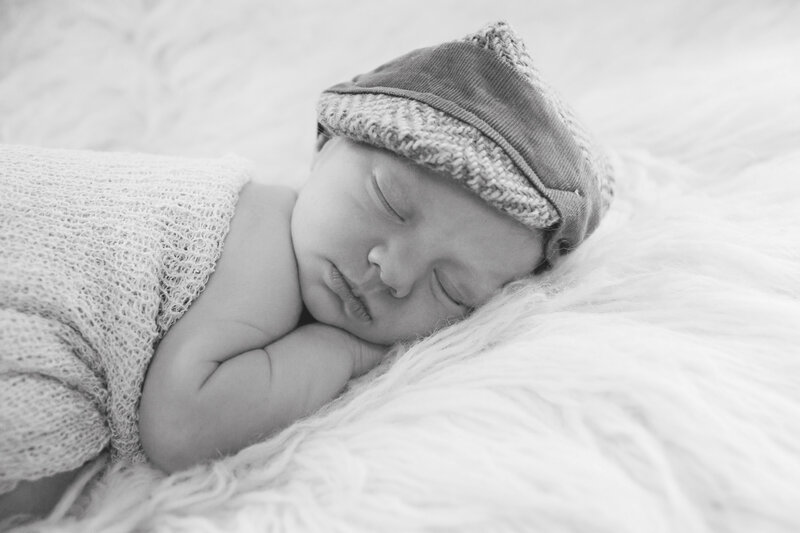 I could not be happier with Giacomos newborn pictures. 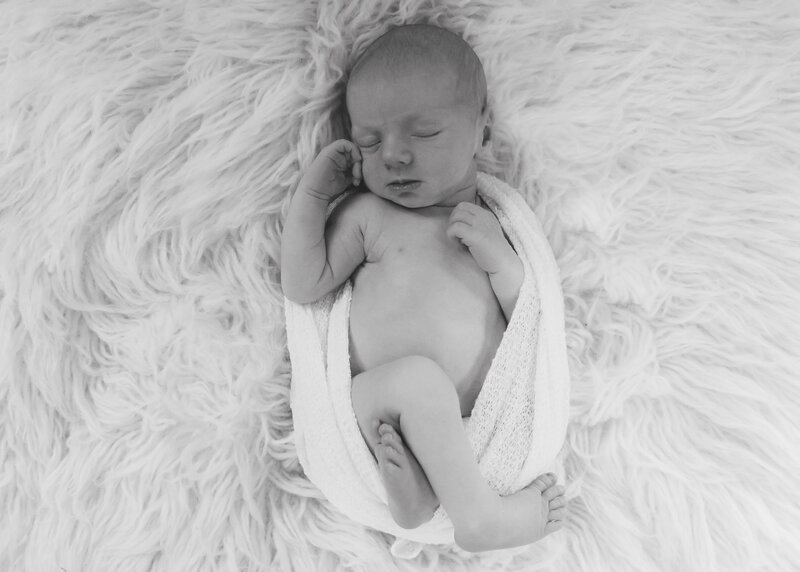 Marie is such a talented photographer, and her work will give my family memories of such a fleeting time in our baby’s life. 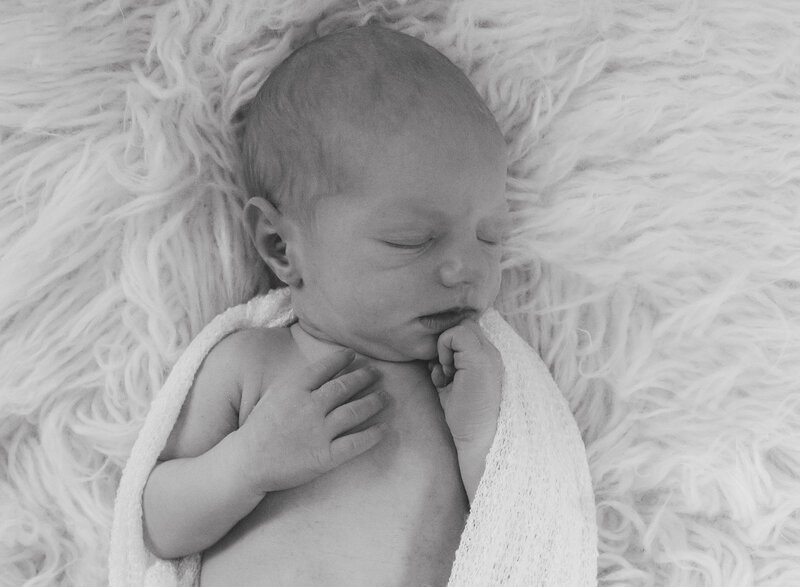 He has already changed so much since the photoshoot, but now we will always have these tangible, beautiful reminders of how tiny, sweet, and new he was. I can’t get over how great these pictures are, and I think the photos speak for themselves! Be sure to like Marie on Facebook at https://www.facebook.com/MarieShimonisPhotography if you’re interested in booking Marie, or if you just want to oogle at some adorable baby photos.